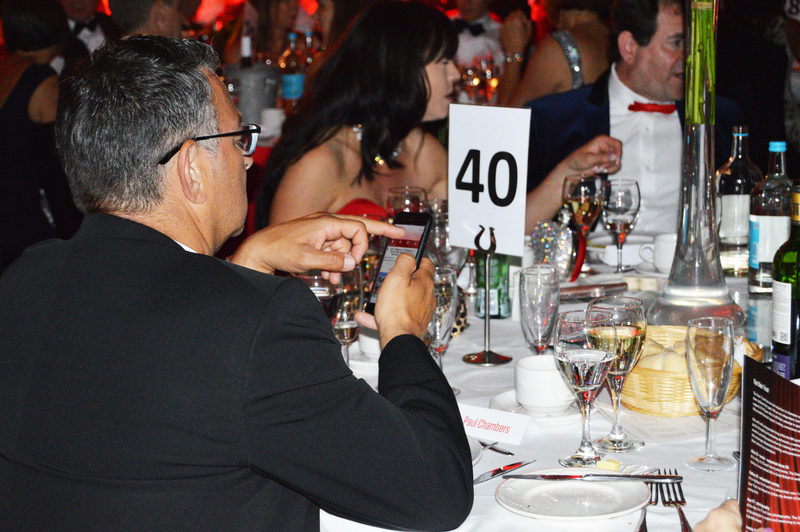 Our interactive auction service is GUARANTEED to offer the most competitively priced smart phone bidding solution for your event. Interactive auctions are dynamic, easy and accessible for guests. 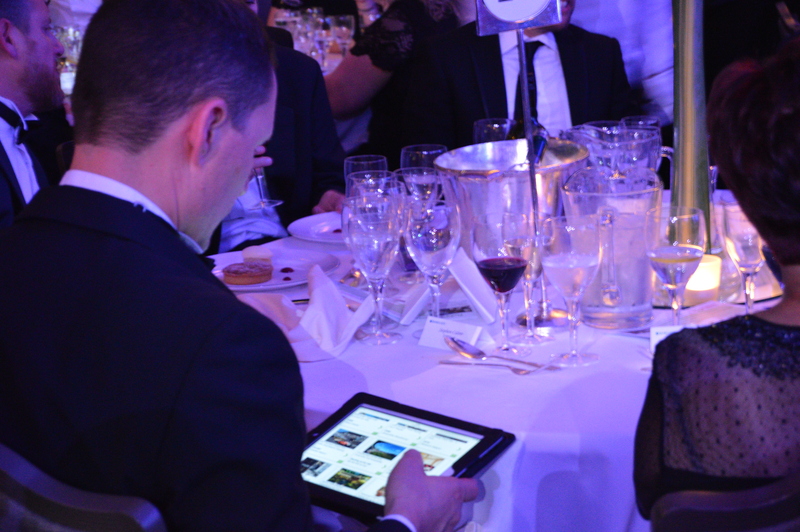 They involve guests using their smart phones to browse auction lots, bids & make payment! Below is a step by step guide to how our Interactive Auction service can raise funds for you. 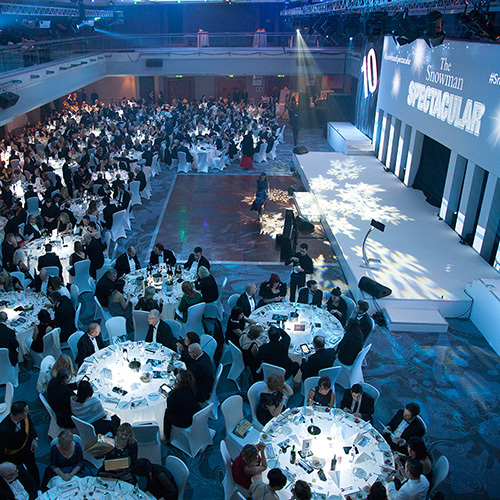 If you decide our Interactive Auction service is best suited for your event, we will work with you to create a detailed logistical plan to ensure your auction runs smoothly. A month before your event a branded auction site (with your chosen auction lots) will be set up and ready to share to guests and supporters. On the day of your event we will arrive 3 – 4 hours before the scheduled start and set up the auction and any agreed Wi-Fi, A/V or tablet requirements. Throughout the auction, guests will be encouraged to register and bid from their smart phones. Our staff will be available throughout the evening to help and advise. After the auction ends, winning bidders will be invited to pay through a link sent to their phone or at our designated payment desk. After your event you will be sent an itemised spreadsheet. This will include winning bidders’ details, winning bid amounts & the total amount raised. 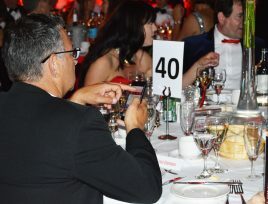 The total funds raised from the auction will be transferred to your chosen account within 7 working days of your event. Why choose an Interactive Auction? 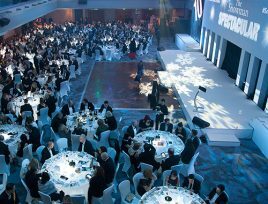 Each of our auction services offers a varied range of benefits and are suited to different types of fundraising events. Below is a selection of benefits for using our Interactive Auction service! A pre event auction website will allow guests to register & bid before your event! You can also start promoting on social media to create a buzz around your auction and event. Supporters can register on their smart phones or by a volunteer at your event. Registered bidders will receive an SMS text with login details and a link direct to your auction! 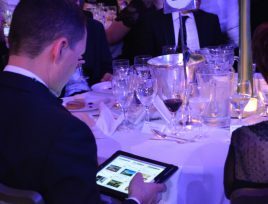 Your auction software is available on any device (phone, tablet and laptop), which means supporters unable to attend your event can still support & participate in the auction. The auction website allows potential bidders to browse & search auction lots, image galleries, lot information & create a favourites list to watch chosen items. If a guest is outbid they will be informed via a text direct to their phone alerting them & prompting them to place a bid in response, with a link to the auction site. Supporters can spread the word of your auction with tweets & posts about the auction items with the auction sites inbuilt social media integration. 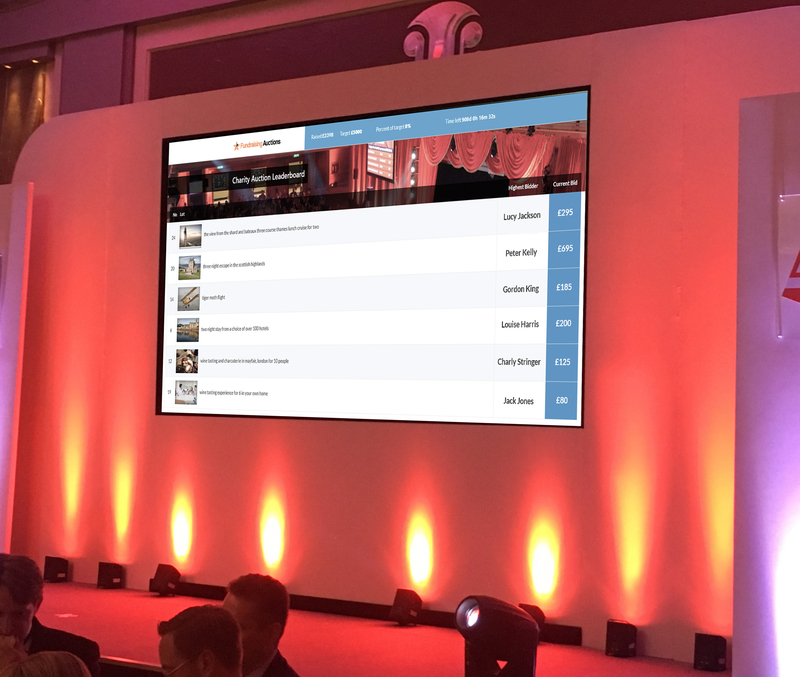 Each of our interactive auctions can be designed to match your event’s branding. 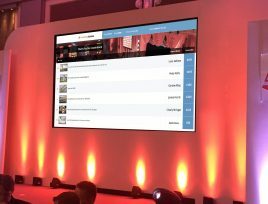 Customised leaderboards showcase each item, highest bidder & bid amount and constantly reminds guests to keep bidding throughout the auction. Book a free demo of our interactive software today!